This Arthur Conan Doyle guy has a future in crime writing. Sherlock Holmes' deductive powers are, of course, tosh, and it is to laugh to think that they may in the past have been mistaken for a model of scientific reasoning. But his dark side, and the atmosphere with Doyle endowed certain scenes, make him a plausible forerunner of noir. I may know less about Holmes and his creator than anyone else alive, but it seems to me significant that Doyle was interested throughout his life in mystical subjects, because that's where Holmes, the unparalleled observer, belongs. In today's terms, his props should be mask, cape, and colored tights, or maybe long beard and magic wand, rather than deerstalker and pipe. But if Holmes was half machine ("He was, I take it, the most perfect reasoning and observing machine that the world has seen," Watson tells us in "A Scandal in Bohemia. "), he was angst-ridden enough to serve as a precursor of noir fiction, and it's no shock that Hard Case Crime has reprinted a Doyle novel. "To Sherlock Holmes she is always the woman. " "He had risen out of his drug-created dreams ... " "Holmes ... remained in our lodgings in Baker Street, buried among his old books, and alternating from week to week between cocaine and ambition, the drowsiness of the drug, and the fierce energy of his own keen nature." Each of these is from the opening paragraphs of "A Scandal in Bohemia," first story in The Adventures of Sherlock Holmes, and each suggests Gothic horror more than it does rational crime solving. Maybe the stories are really about their era's nervousness about the progress of science and what this might do the emotional side of humanity. Like I said, I know little about Holmes and his creator, but the gulf between the place the Holmes stories occupy in the public imagination on the one hand, and what is most interesting about the stories today on the other is ... a mystery. Doyle wrote popular fiction, and I doubt the public at large paid much more attention to layers and details than it does today. It was the newness of this kind of story that made him popular. It's the things you mention that have kept Holmes and Watson alive over a hundred years later. I don't know much about Doyle's reception in his own day, other than that it must have been damn good if he was forced to bring Sherlock Holmes back from the dead. But the curious thing, at least for we non-Holmes specialists, is that the thing that seems most ludicrous today is what has formed the bulk of Holmes' reputation over the years, while that which seems most contemporary is rarely mentioned. Holmes was a fraud. A coke junkie. How do we know he was a fraud? The guy chain-smokes, sometimes three pipes at a time. And he claims he can identify 150 different perfumes just by their smell? Bah! Fred: Right. His detecting skills were sheer tosh and, as I think Richard A. Posner argued cogently, had nothing to do with how science really works. But the angst and some of the atmosphere could be pretty good, and darker than Holmes' reputation would suggest. This opens the way to all kinds of interesting questions about Doyle's own state of mind, that of his audience, why we choose to highlight the aspect of the Holmes stories that we do and why we ignore others, for a start. The more I read Doyle's stories -- and I confess to having read most of them -- I am entrapped in a paradox: (1) I enjoy them; (2) I am puzzled about why people still enjoy them. Hmmmm. (Note: Doyle exemplifies differences between writers of popular fiction (he is one of those guys) and authors of literature (he is not one of those guys). R.T.: Two of the paperback-original writers I have been reading make me think about differences between authors of popular fiction and of literature, since some of their books, while remaining thoroughly the first, skirt qualities of the second. They are Peter Rabe and Charles Williams. Your paradox is not so different from what I get at in this post, I think. I think the appeal has something to do with the fact that there is also Watson. It seems like this friendship of opposites that is not really equal has some sort of archetypal appeal, just as it does in Don Quixote. I am not quite sure why this sort of relationship matters so much to us, but I think it's something we can connect to. I suppose it lets the reader share in Watson's astonishment at the oddity of Holmes' character. 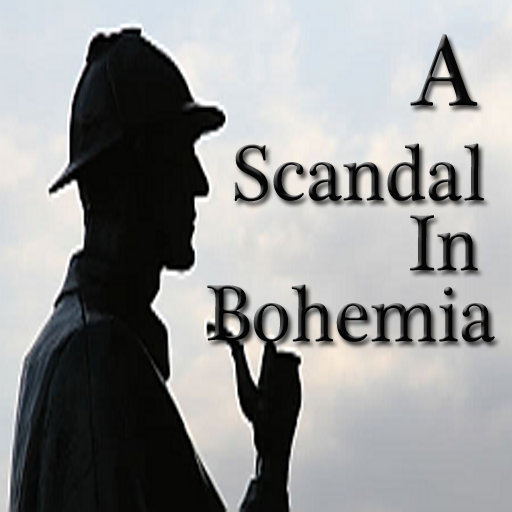 But it was only when I read that brief opening to "A Scandal in Bohemia" that the possibility that Doyle may have been nervous about the impact of science and technology. I don't so much ask why readers have loved Holmes, as I wonder how Holmes came to be regarded as an epitome of rationality and science when he seems, in fact, to be anything but.